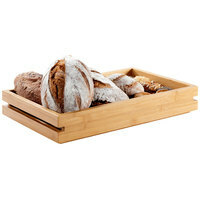 Bamboo cutting boards are great for serving your appetizers, dessert samplers, and cheese and charcuterie boards. 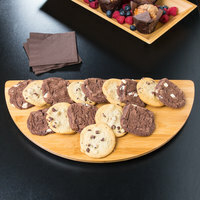 Some of these products also feature grooves that ensure minimal mess and spillage while in use. 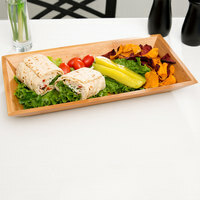 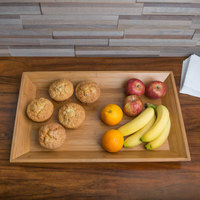 We even offer bamboo trays with canisters that can be used for storing sugar, grated cheeses, sauces, and other condiments at your self-serve stations. 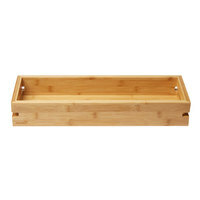 Also make sure to check out other great items from American Metalcraft, GET Enterprises and Rosseto. 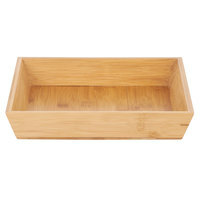 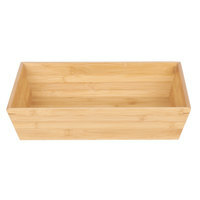 American Metalcraft BAM14 Rectangular Bamboo Tray - 14 1/4" x 7 1/2"
American Metalcraft BAM22 Rectangular Bamboo Tray - 21" x 13"
American Metalcraft BAM189 Rectangular Bamboo Platter - 18 1/4" x 9"
American Metalcraft BAM18 Rectangular Bamboo Tray - 18" x 8 1/4"
American Metalcraft BAM148 Rectangular Bamboo Platter - 14 1/2" x 8 1/4"
American Metalcraft BAMHM Half Moon Bamboo Platter - 18" x 9"
American Metalcraft BAM141 Square Bamboo Platter - 14 3/8" x 14 3/8"
American Metalcraft BAM211 Rectangular Bamboo Platter - 21 1/2" x 13"
plus Clipper Mill by GET BAMTRY-01 Rectangular Bamboo Tray - 18" x 12" x 2"
plus Rosseto BD134 Natura Small Bamboo Tray - 6 1/2" x 6 1/2" x 3 1/2"
plus Rosseto BD133 Natura Medium Bamboo Tray - 19 7/16" x 6 1/2" x 3 1/2"
plus Clipper Mill by GET BAMTRY-02 Rectangular Bamboo Tray - 18" x 12" x 4"
plus Rosseto BD132 Natura Large Bamboo Tray - 19 7/16" x 19 7/16" x 3 1/2"
plus Rosseto BD135 Natura Double Medium Bamboo Tray - 19 7/16" x 12 15/16" x 3 1/2"
Lower your carbon footprint with our bamboo cutting boards. 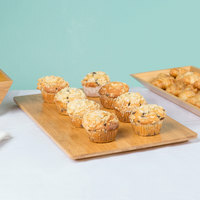 These products are made from renewable materials, which is great for any foodservice establishments that want to use more environmentally-friendly products. 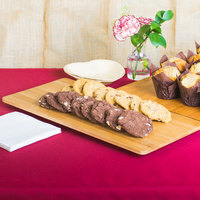 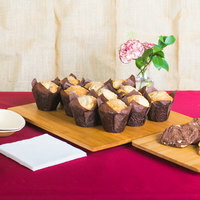 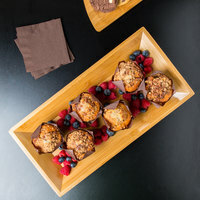 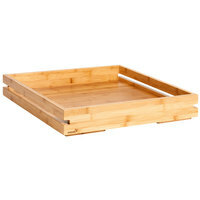 A bamboo tray is also perfect for displaying samples of your baked goods, serving guests finger foods and hors d’oeuvres, or prepping fruits and vegetables. 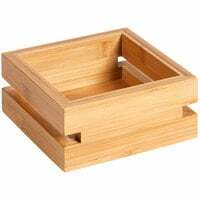 Most of these products even come with a convenient handle, so your employees can easily carry them throughout your business. 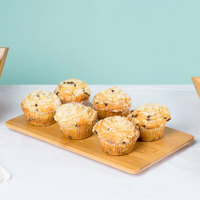 For more green products, check out our biodegradable straws, unbleached natural baking cups, and compostable trash can liners. If you're wondering where to buy bamboo trays, we have a large selection of bamboo trays for sale at the lowest prices.